David C. Gibbons | Hyman, Phelps & McNamara, P.C. 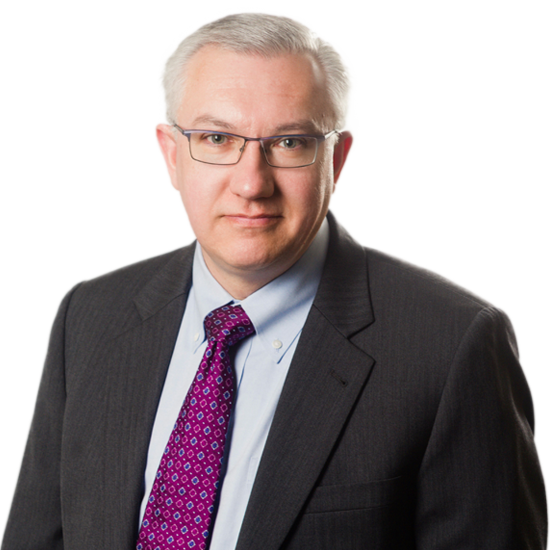 David Gibbons brings significant industry experience to his legal practice in which he advises pharmaceutical and biotechnology companies on late-stage product development, advertising and promotion, and healthcare compliance. Mr. Gibbons counsels on regulatory strategy related to marketing applications, including clinical development issues. Mr. Gibbons serves as outside commercial counsel covering marketed products for pharmaceutical companies and participates as the legal reviewer on promotional review committees. He also specializes in areas that intersect FDA and federal and state healthcare laws, advising on pharmaceutical marketing practices and transactional matters. Prior to joining the firm in 2014, Mr. Gibbons practiced in the health care and life sciences practice of a Washington, D.C. law firm. There, he advised pharmaceutical and medical device companies regarding regulatory compliance, assisted clients undergoing government investigations, and served as regulatory counsel for private equity firms and health care companies engaged in mergers and acquisitions, joint ventures, and other strategic business affiliations. Prior to beginning his legal career, Mr. Gibbons spent 20 years in the development of pharmaceutical and biologic products. He began his career at University of Rochester Medical Center, working on NIH-funded HIV/AIDS therapeutic and vaccine research. He later held increasingly-responsible roles within Research & Development at GlaxoSmithKline, one of the world’s largest pharmaceutical companies where his responsibilities ranged from spear-heading post-marketing responses to FDA, co-authoring regulatory submissions to FDA and EMA, leading product development teams, to developing product-specific international development and commercialization strategies for pipeline products. Advises on strategies for interacting with FDA before and during the IND/NDA/BLA process, Advisory Committee meetings, and other ad hoc meetings with FDA. Advises clients on requirements pertaining to labeling and advertising claims in print and electronic media. Serves as legal reviewer on promotional review committees. Counsels clients on compliance with federal and state health care fraud and abuse laws, with regard to marketing programs and contractual relationships with health care providers and other 3rd parties. Advises clients on compliance with federal and state transparency reporting requirements connected with financial arrangements among manufacturers and health care providers. Works with companies on compliance with federal and state data privacy and security laws in the conduct of their clinical research, marketing, patient assistance, and other programs. Serves as FDA regulatory counsel on corporate transactional matters and conducts regulatory due diligence involving pharmaceutical and biotechnology companies or products.